Exam Week – Good Luck! Exams start today. 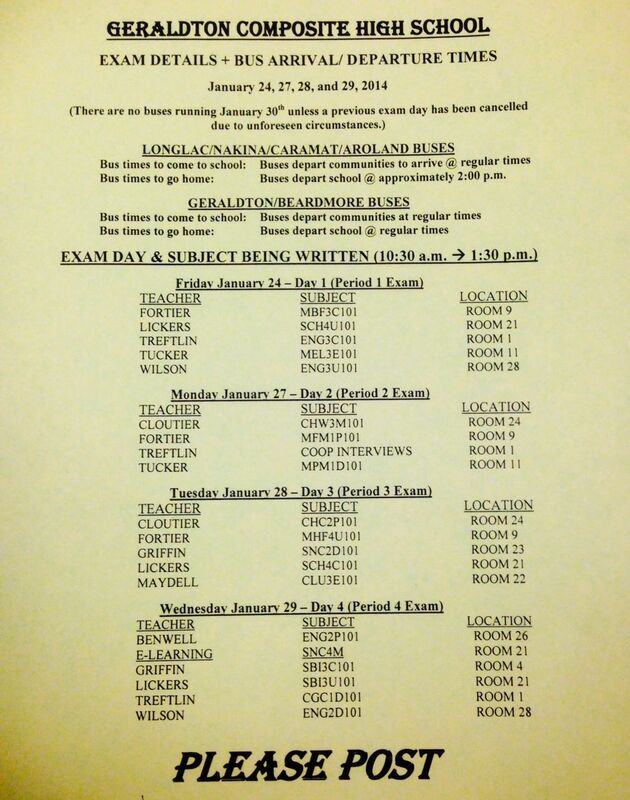 Here is the GCHS exam schedule. Note the locations for each exam. If students have questions, please see your teacher. It is also a good idea to see your teacher if you are missing any semester assignments. Good luck to all students writing! Also, don’t forget that you can return all of your semester one textbooks to the library once you are done with them!